The much awaited update to Google’s Penguin algorithm has been released with the search engine confirming that it will now run in real time. The last update to Penguin came in 2014. A new update was expected in late 2015 but was delayed to this year. With Google confirming that Penguin has been incorporated into its core algorithm, it will now operate in real time. As a result, webmasters taking corrective action after suffering a Penguin penalty will see a much quicker recovery as Google reindexes pages. Created in 2012, Penguin penalizes websites which house poor quality content and violate Google’s search quality guidelines. It was designed to combat spam and encourage webmasters and publishers to focus on the creation of high-quality, unique content. Keyword stuffing and unusual link patterns were given as two examples of black hat methodologies which would fall foul of Penguin. Penguin implemented tough penalties. Unlike many parts of the algorithm which would just discount the value from suspicious signals, Penguin would devalue the entire site. This meant many sites were severely affected by Penguin, with some having visitor numbers halved. This would happen periodically as Google ran the filter, if you were hit by a penalty and made improvements you'd have to wait for Google to re-run Penguin to see those penalties lifted. This has left many webmasters in the dark, unsure of the effect of the changes they have made. Many have been waiting since the last major update in 2014 to see improvements. However the Penguin Everflux update, released that December, saw Google saying it was moving to a system of continuous updates. Many Webmasters are reporting not seeing any significant changes to sites that were hit in the 2014 update. This makes sense if Google has been rerunning Penguin continuously, as they suggested they were going to be doing. It could be the case that the changes made were ineffective against Penguin when it was rerun, rather than Google having left Penguin unused for two years. 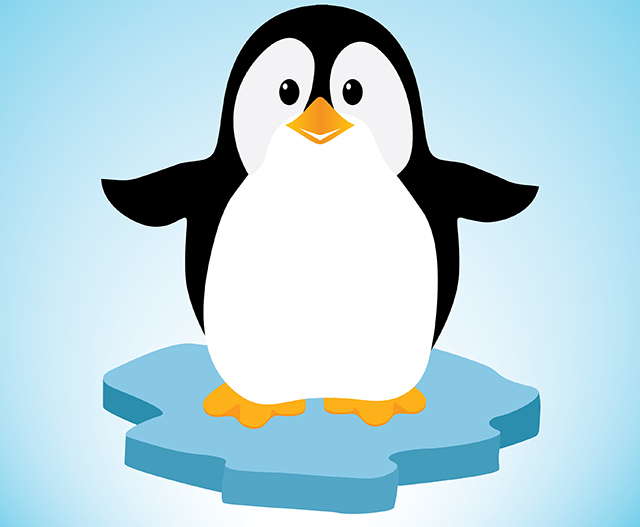 Google have also confirmed they have made some tweaks to the way Penguin works as part of the update. As it's now part of the algorithm it will be one of the many contributing ranking signals. So, like other parts of the core algorithm, this isn't a penalty or filter any longer. Meaning that Google will simply ignore the value from certain signals (such as low quality links) which are flagged by Penguin. "Penguin now devalues spam by adjusting ranking based on spam signals, rather than affecting ranking of the whole site." So there should be some movement seen in the rankings from this, with a theoretical win for Webmasters hit by Penguin as the penalty shifts from site wide to just devaluing the spammy signals. It will take a little while for the changes to come through though. From the reported lack of changes it doesn't look like Google has blanket lifted Penguin penalties, so they are likely doing this as sites are re-indexed and the ranking signals applied. "It also means we're not going to comment on future refreshes." This also makes sense in the context of the changes they have made. If it's part of the algorithm, there won't be any more 'refreshes' to comment on. It's just going to run as content is indexed and rankings are created. Making up yet another of the 200 plus signals that Google uses to decide who's content goes where. We provide information and education, keyword research and digital marketing apps, as well as support and help when you need it.